If you drive around in New Orleans, you’ve probably noticed billboards that advertise companies that buy houses. Usually, they say things like “We Buy New Orleans Houses!” or “Cash For Your House”. How do I know if local house buying companies are honest and reliable? At the start, they often all look the same. Below, we’ll show you some things to look for in a local house buying company before you decide to work with them. Buying and selling houses is a respectable occupation that can assist communities and house sellers in many ways. But just like in other lines of work – there’s a minority of house buyers all over who make the rest of us look bad. There are great, ethical folks out there who are improving their neighborhoods one property at a time. Then there’s shady, dishonest people who put money ahead of their clients’ well-being and who would sign a contract to sell their own grandmother as long as they were making enough money. We’ll help you avoid these “shady house buyers” so you can work with honest, ethical, and reliable local companies who can give you a fair, all-cash offer for your house and close on your schedule. Let’s not focus on the negative – at least not yet. First, let’s go over exactly what the best house-flippers are doing. Helping folks improve their lives by accessing the money they needright away. People typically need cash from their house in order to cover unexpected medical expenses, or to move to be closer to a relative. We can make that happen in just a few days, and we deliver peace of mind. Helping sellers get rid of a burdensome property without the hassle of listing it with a broker and waiting months upon months for it to sell. Buying US products. We spend tons of money on materials that are made right here in the USA – this creates jobs in our timber mills, factories, supply shops, distribution centers and more. The US economy depends on steady improvement, and that entails investment from folks like us. Increasing the value of New Orleans neighborhoods. When we improve a house, we increase the value of the whole community. We frequently repair abandoned, neglected houses and turn them into beautiful homes for families. This activity strengthens New Orleans. Increasing the tax base. When a new buyer purchases one of our properties, they’ll pay a higher tax rate based on the new and improved value. Those taxes pay for our schools, police and fire departments, libraries, streets and more valuable pieces of infrastructure. Again, improving our neighborhoods. Many people think house-flipping is a get-rich-quick scheme. This idea is fueled by silly “reality” shows that amp up the drama. The reality is that what we do everyday is actually pretty boring. The majority of our work is coordinating with many people to ensure that things are happening on time. We have to keep track of many moving parts. So, let’s get back to how you can utilize this information to figure out if someone is an honest investor, and not pulling a house buying scam. When you speak with local house buyers to potentially buy your house, ask some of the questions below to make sure they’re reliable, knowledgeable, and honest. Next, look for tell tale signs of tactics that those few shady operators like to use. 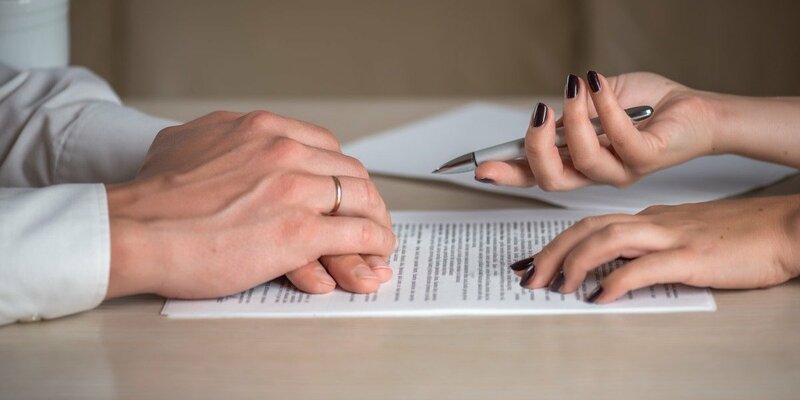 “Kitchen table closings” – If a house buyer wants you to sign the deed (ownership) of your house over to them at your house instead of a professional place, be wary. Most reputable house buyers will perform the closing of the sale at a neutral 3rd party place, like a title company. This ensures that everything is done correctly. Pressuring you into a fast closing – If a house buyer is pressuring you into selling your house and tells you to make a decision today, be wary. Most reputable house buyers will give you an offer that will be on the table for at least 2-7 days (minimum) for you to make a decision. The reason that reliable house buying services like ours at Louisiana Direct Home Buyers place deadlines on our offers is due to market and value changes that can occur week to week, depending on other sales in the area. We also buy several houses a month, so when we give you an offer we’re assuring you that the cash to purchase your house is ready. We’ll put that amount aside for several days so we can close on your schedule if you decide to sell your house. If the offer isn’t a fit for you, we’ll assign those reserves to assist another seller with their home sale. The typical scammer is looking for a quick score,not an in-depth interview. There’s a good chance that they’ll make up an excuse to get off the phone and move on to someone who doesn’t ask too many questions. Legitimate investors who operate honest and ethical New Orleans house buying services are building long-term businesses based on relationships and community development.